Hello everyone! Hope you had a wonderful weekend. Is decorating for diwali on top of your mind these days? Well, you are not alone given that Diwali is exactly a week away. Often on weekends, the three of us set out on mindless bike rides with no particular destination in mind. On one such trip Sunday evening, I saw this beautiful shop called Templetree on Varthur Road in Bangalore. The shop was closed but dressed well and intriguing enough for me to find out what was inside. And, I’m pleased to see their FB page and it warrants a visit again – a planned one this time. They create unique stationery products, birth announcements (didn’t know there was one like this), custom design wedding cards, gift bags, personalised envelopes, bookmarks, wine bottle bags in an array of colors, shapes and ethnic designs – you get the drift, don’t you seeing these pictures? 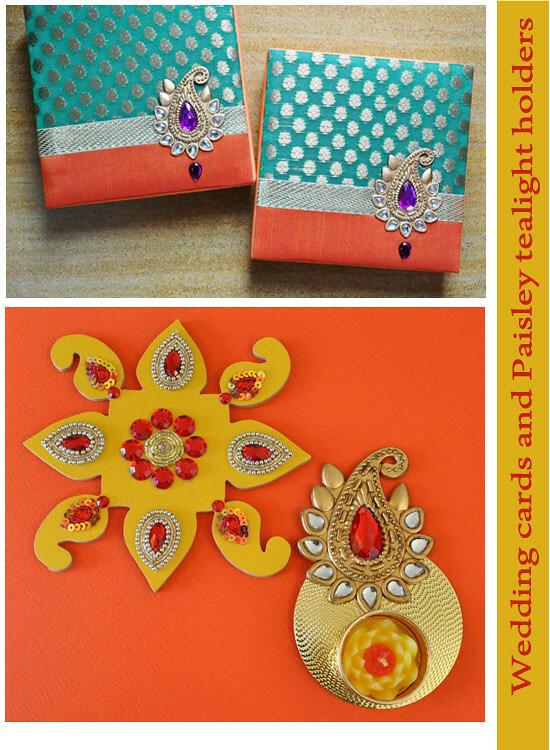 They have an exquisite collection of wedding cards in the most fascinating aquas, fuchsias and oranges adorned with jewelled paisleys. 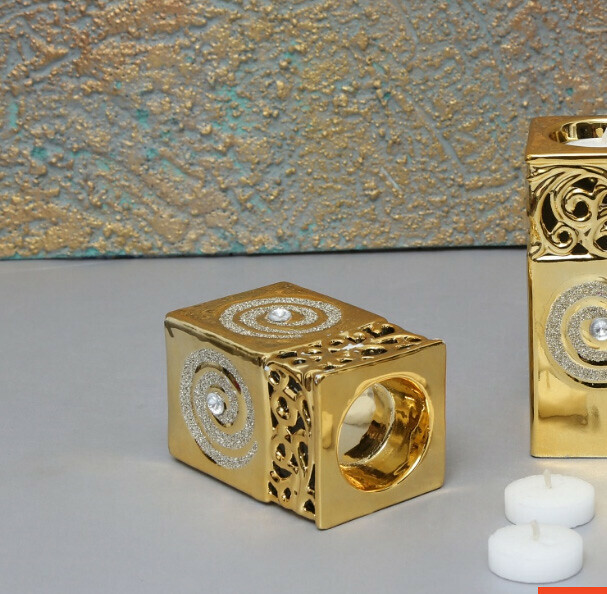 Loved the tea light collection as well. 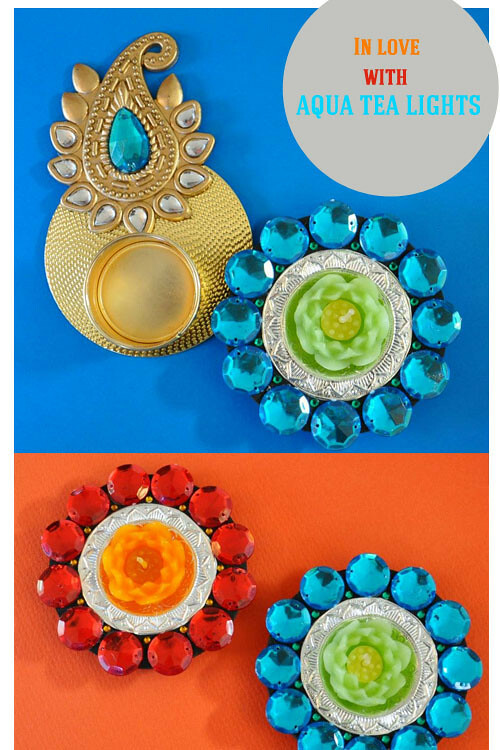 Isn’t this dangler diya spectacular? 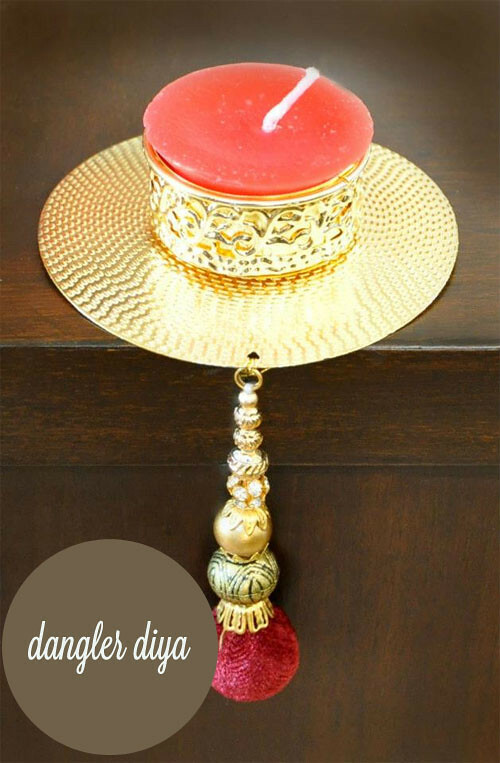 I think it’s a splendid way to decorate a diya especially when teamed up with a pleasing colored candle.